Pair of Buddha hand statues. 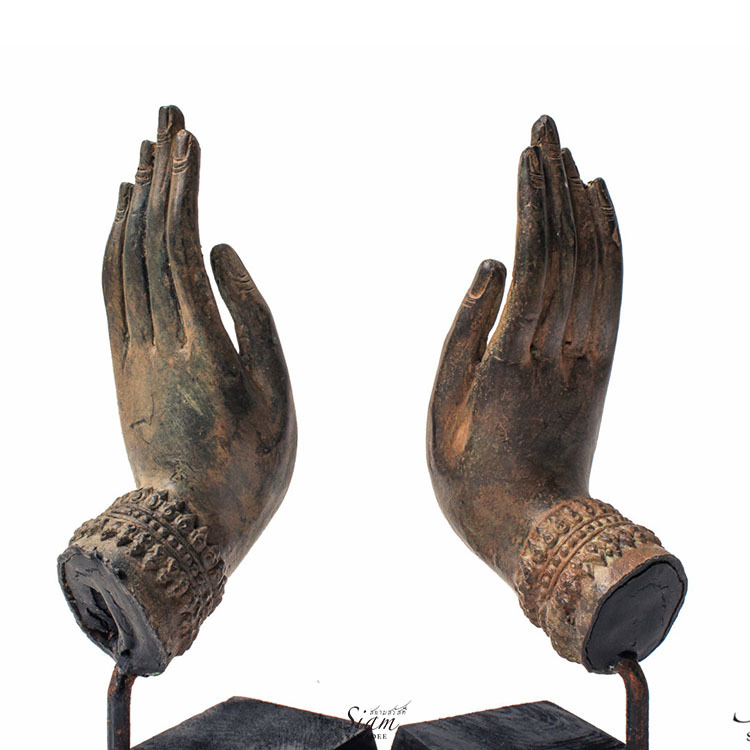 Protection, freedom or fearless Mudra hands sculpture from Thailand. Pair of Buddha hand statues. Protection, freedom or fearless Mudra hands sculpture from Thailand. This pair of traditional handcrafted Thai sculptures will look great in your home or garden. Buddhist hand symbols are often presented in specific styles to represent different aspect of Buddha and Buddhist values. Here Thai Buddhist artisans have crafted and presented two statues that are certain to bring a certain blissful charm to your home. You do not have to be a devout Buddhist to appreciate the beauty of this pair. We hope they bring as much metta into your life as you put into it. I’m totally in love with these Buddha hand sculptures. They are beautiful and practical to be used as a home décor or the hangers. And also suits everywhere to be placed at home. Will look for more authentic products to buy from them. 5 star service indeed.